Ever heard of cities being vacated? Well this was the reality during Sankranthi last week! It is an annual affair, but we seem to take more notice now. Suddenly 20 lakh people went out of the city to their hometowns and for over four days, Hyderabad was on vacation. Commutes were faster within the cityA�and roads were unclogged. But thata��s just inside the city. Take a tour on the ring roads and you will see that the toll gates and entry-exit points on all sides had a rush hourA�time before and after the festival. 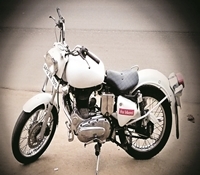 There were almost 30,000 plus vehicles in key entry points like Choutuppal! This is almost one and a half times the usual traffic. The street vendors seem to know about the festive rush and were their with their ware. 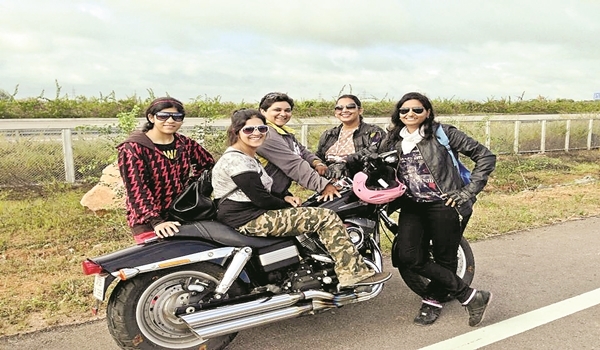 And I hear that the group of girls on bikes – called Bikernis – take off to amazing destinations during such long weekends. While travel mode to villages and townA�for festivals is typically a busA�or train- if planned, many choose to drive or ride home a few hundred kilometres away merely for the spontaneity and convenience it offers. Others who choose to take a bus are rethinking their plan because of the increases fares and rush at bus-stations. Although extra buses and almost ten extra trains were allotted for festival day rush, car jams on Kurnool-Hyd and Hyd-Vijayawada roadsA�reminded of highways abroad. Festivals are just a planned holiday for the city. Temple tourism to Basara, Yadadri and other placesA�A�hasA�markedly increased car-commuters inA�Hyderabad. What do people living here feel? The truth is that everyone enjoys the silence in the city for brief periods. 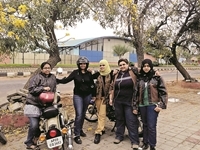 “It just gives us a chance to actually look at our roads attentively.A�But itA�also makes Hyderabad too quiet and pale,” saysA�banker Surya, who observes these trends. Now before we crib about our jams and rush – let us feel glorious that there is still a predictable arrival time, here unlike Delhi, or a Bengaluru. If things worsen, we stillA�have Kejriwal’s odd-even formula.